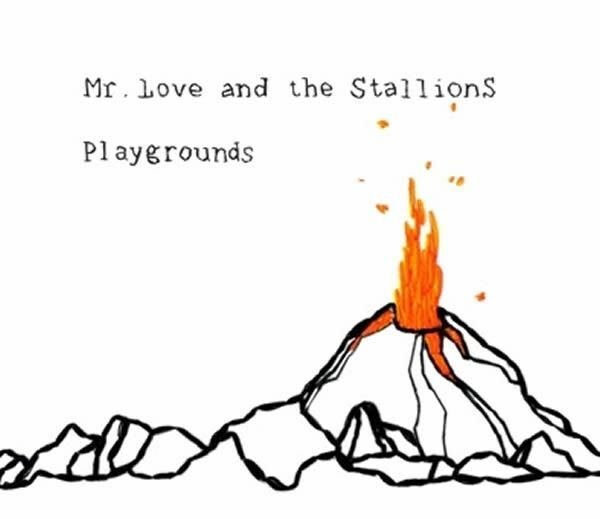 Already releasing their third album Mr. Love And The Stallions are still relatively unknown. Despite being 3FM Serious Talent and the use of their single 'Fill Me Up' in a cup of tea commercial. The new album Playgrounds is supposed to change all that. And it looks like they have big ambitions with it and are hoping to finally achieve success. But without doing to many concessions so it seems, since Playgrounds isn't a standard indiepop record aimed solely at a big audience. It does have a few nice indiepop songs with the familiar ingredients like catchy guitars and easy singalong choruses ('Radio 4 AM'). But in general the album holds more songs that lean towards alternative rock as we know so well from dEUS. Singer Bas van Looy's voice sounds a lot like singer Tom Barman of the Belgian band and the addition of violin completes the comparison. The track 'Make Love' even reminds a lot of the dEUS hit song 'Suds & Soda'. This isn't much of a problem since the record is nice enough with interesting findings and jangling indierock songs. The eleven tracks are varied and full of creativity and experiment. Sometimes it's all a bit too much though. Like the song 'Lucky Man' that really has a lot of different changes and parts. There's also a chance of putting too many ideas in a single song. Because of all this variation the band's direction isn't always clear. Maybe that's the result of their ambition to finally be able to score and therefore they have written some radio friendly songs. It results in a bit of strange contrast with the other more alternative songs. This isn't really disturbing though and doesn't affect the overall quality of the album. Playgrounds simply has turned out to be a fine introduction for these five musicians. They are showing that they have a lot to offer and are skilled musicians. If the record will be picked up by a bigger group of fans remains to be seen. But they should be able to make quite an impression in the Dutch alternative scene.